Reminisce your favorite moments from Star Wars while enjoying your coffee! This Star Wars Photo Grid 16 oz. 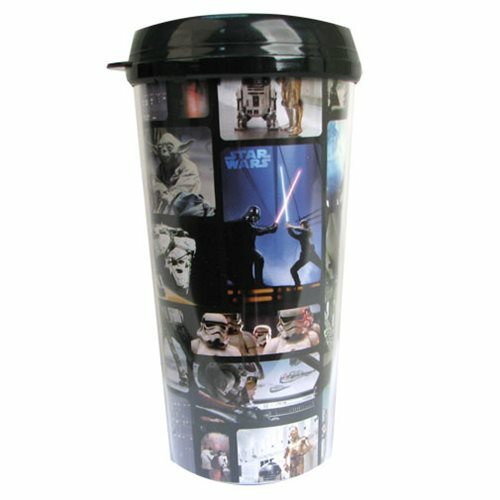 Travel Mug features iconic images from the original trilogy of the epic science fiction saga. Keep your drink warm from the cold of space with this stellar travel mug. Hand wash only. Not dishwasher safe. Do not microwave. Measures 6 3/4-inches tall. Ages 14 and up.